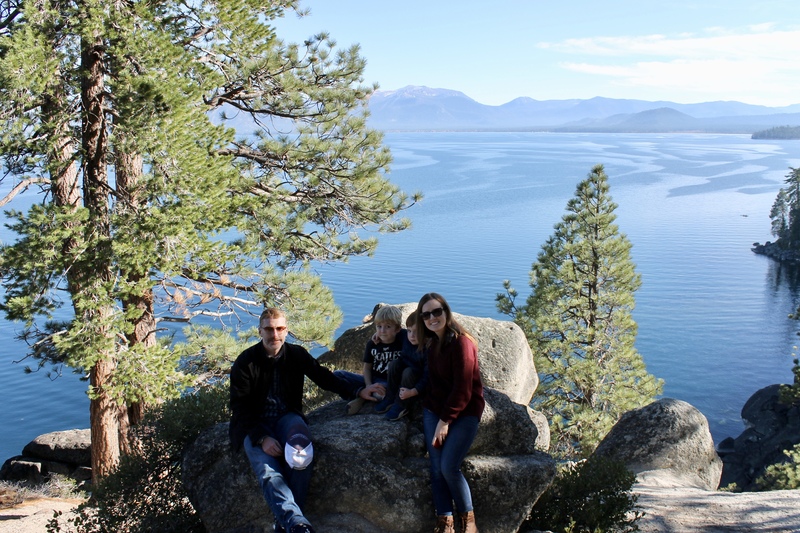 We spent last weekend at Lake Tahoe, one of our favorite getaways here in California. A friend of ours owns a cabin up there, so we planned a “work weekend” before the winter busy season starts up. Seth actually worked – he trimmed the trees around the property. But the boys and I just got to relax and play. It was glorious. Every time we go to Lake Tahoe I’m inspired to remodel the cabin. 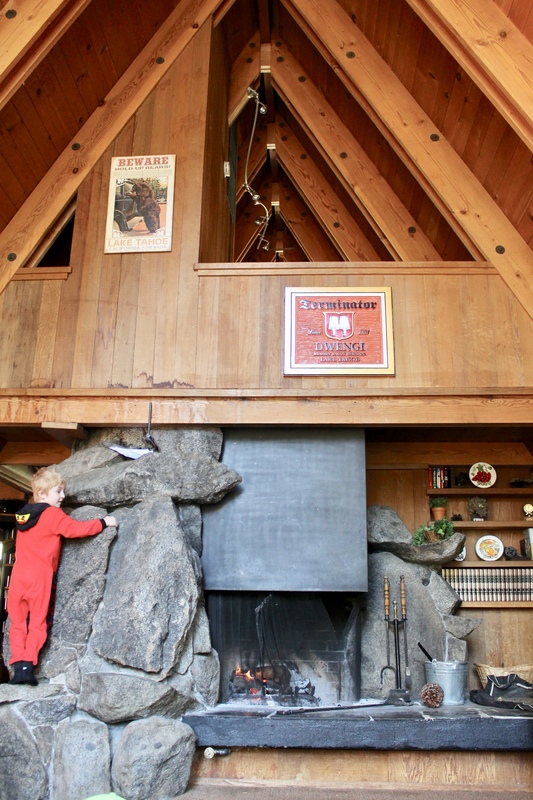 It’s an amazing mid-century ski chalet – It was actually on the cover of the February 1965 Sunset Magazine! There’s a good amount of cool history in the place. Squaw Valley, just a few miles away, hosted the 1960 Winter Olympics. One of the Olympians was so inspired by the beauty of the Lake Tahoe area that he decided to build his own house, which is our friend’s cabin. The original owner’s wife’s family owned a timber company in Oregon, so they had all the timber for the house shipped down for the construction. Our friend bought the place with a group of people back in the early 90s so they can have easy access to the slopes for the entire ski season. Now, he uses it mostly as a rental, but he goes up a few times a year and hosts a 4th of July party each summer. And, it’s pretty amazing to wake up to this view each morning. We’ve been there in the summer, winter, and now fall. Each season is incredible in its own way. Truly a four season getaway. 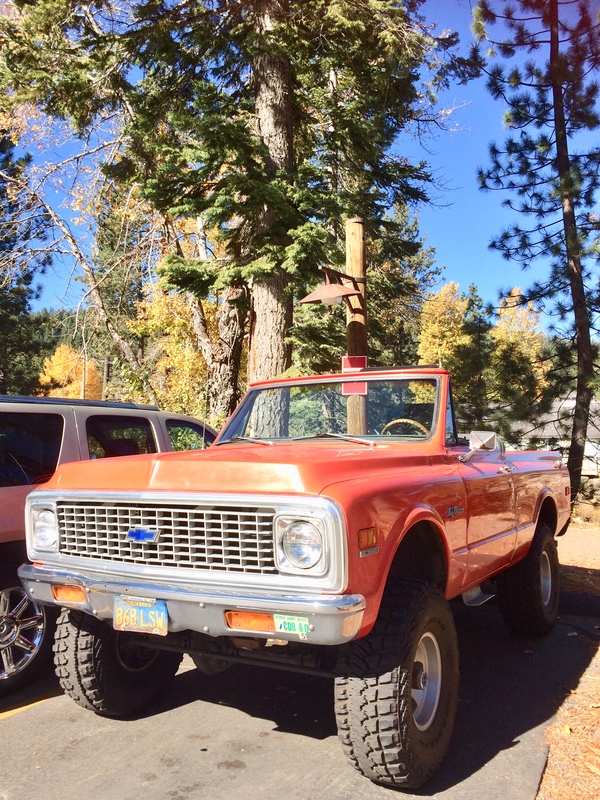 I’m itching to get my hands on this place (or buy our own place in the Tahoe area…a girl can dream!) I told Seth if we bought a house up there he could get a sweet ride like this. Only if it’s tomato red. Anyway…back to our friend’s cabin…I’d love to add some more character to it. 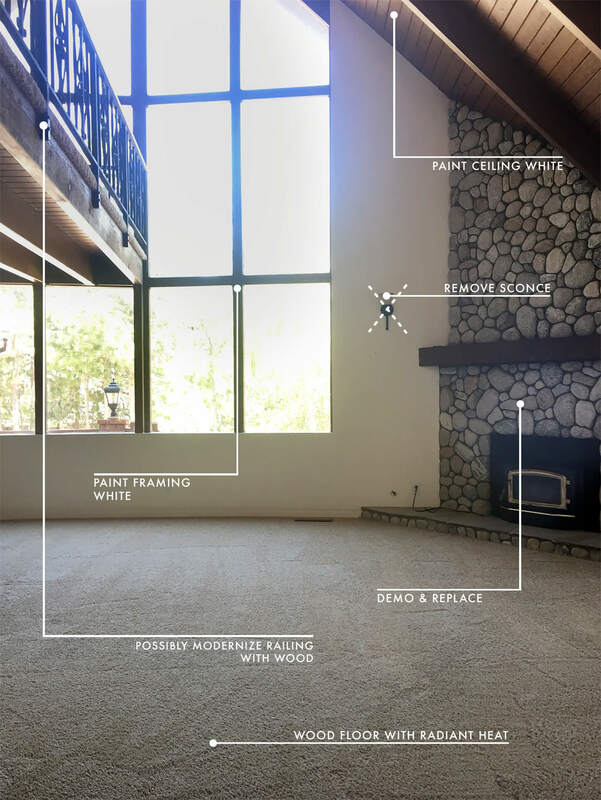 Most of it I don’t want to touch, but I’d change out the flooring, update the kitchen (possibly hold onto the original cabinets, but they’re in pretty bad shape…), update the bathrooms, and change out all the furniture and decor. There are some amazing examples of modern mountain cabins out on the internet. So, if you’re craving some cozy, mountain cabin inspiration now that we’re fully in the throes of fall (how is it suddenly NOVEMBER??) – look no further. Here are some homes I’d love to model our friend’s cabin after. This one is actually close to where our friend’s cabin is. I love how she let the architectural details shine, while bringing in modern, rustic furniture and decor to add her own stamp to the place. 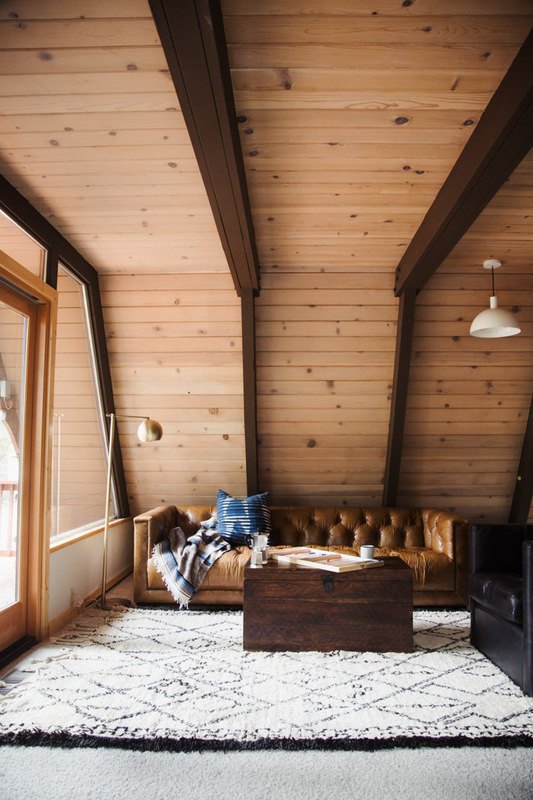 This one is neither in the mountains, nor a cabin, but I love the soaring ceilings, mid-century vibe, and neutral decor. I found this one on West Elm’s blog, Front and Main. Lots of good eye candy and home tours over on their blog. This one takes me back to my Pacific Northwest Roots. 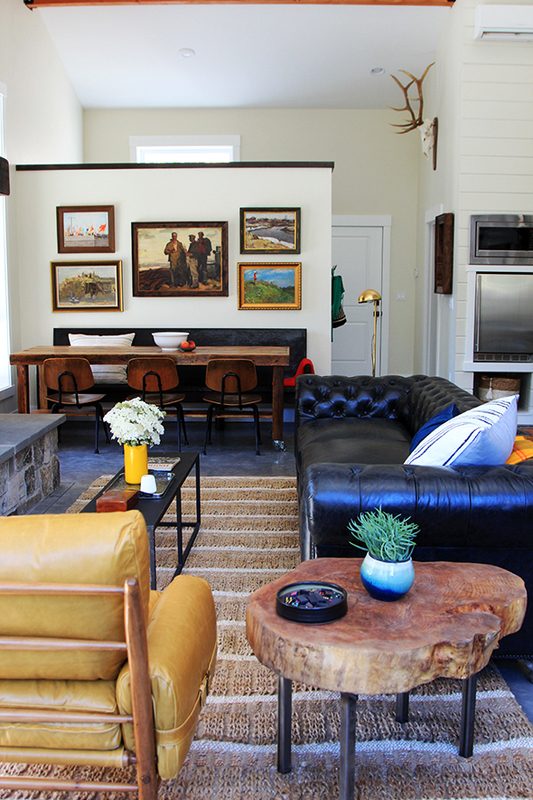 I love the natural elements, bright pops of color, and true cabin-esque decor (think Hudson blankets and deer antlers. Mountain cabin without kitsch.) The cabin above is one of two Jenny Komenda and her team designed. Here’s the link to the other one. 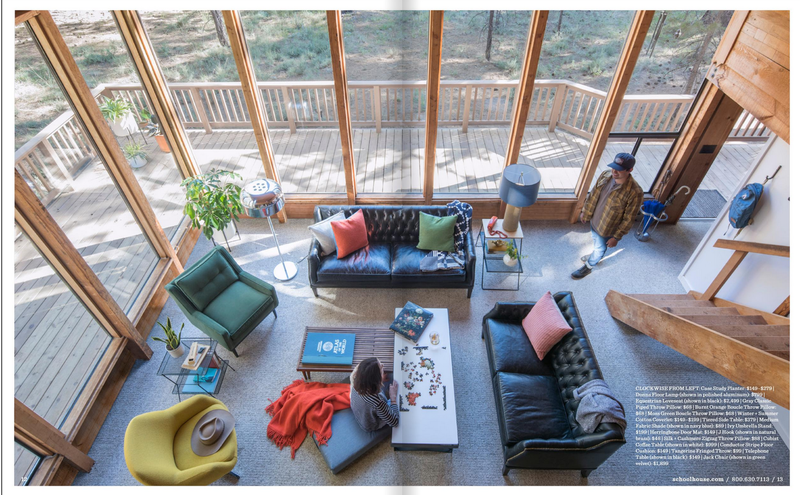 My first thought when opening Schoolhouse Electric’s most recent catalog was of our friend’s Tahoe cabin. 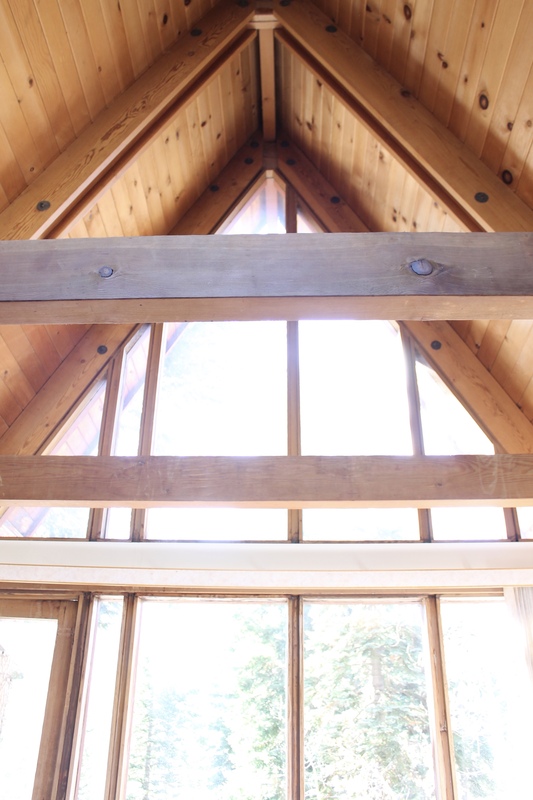 The expansive windows, original wood beams and paneling throughout, and pine tree views are cannily familiar. Check out the Schoolhouse Electric blog for their inspiration for this catalog. Such great 70s throwback design. OK, so there’s technically not much inspiration here yet. 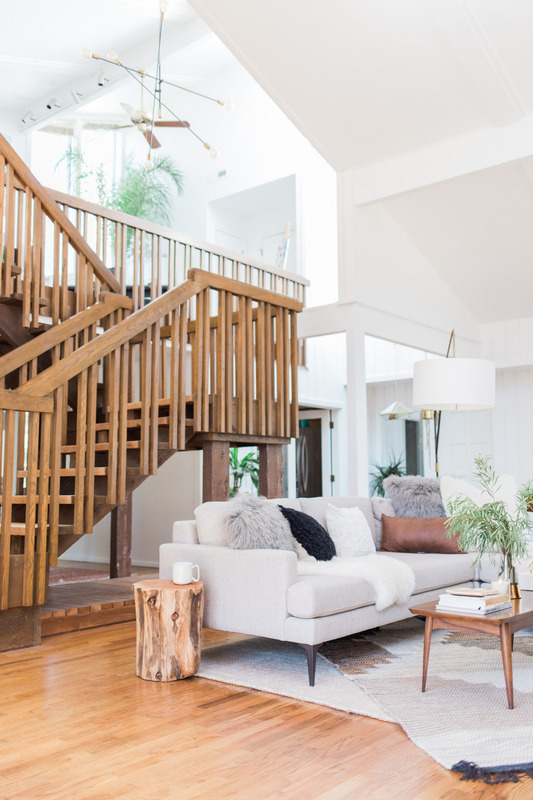 However, I am SO EXCITED to follow along with Emily and her team’s renovation of her new family mountain getaway outside of LA. You should follow along, too! Man, I just love Lake Tahoe so much. 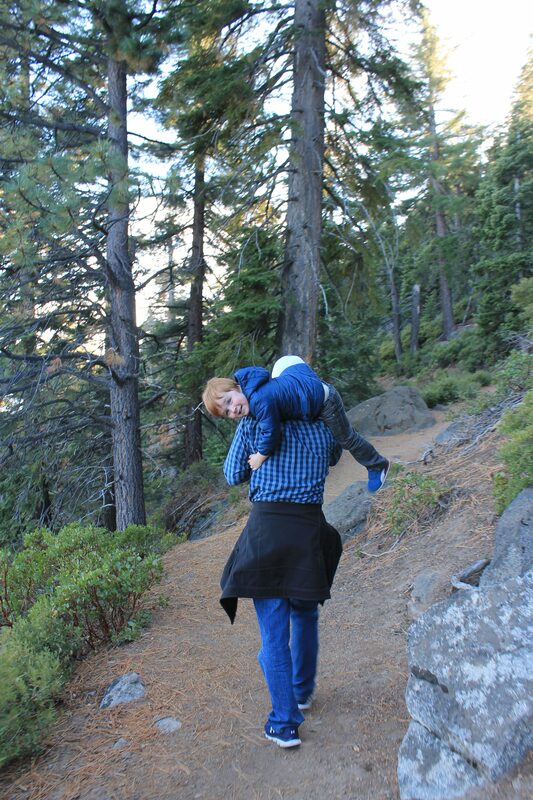 Every time we head up there, we come away so refreshed and relaxed. 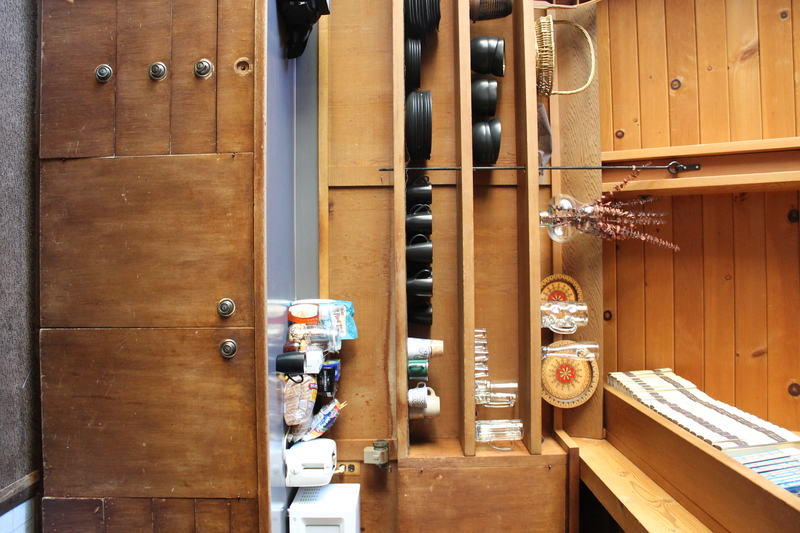 Sigh…I’m going to grab another cup of coffee and enjoy some of this mountain cabin eye candy.